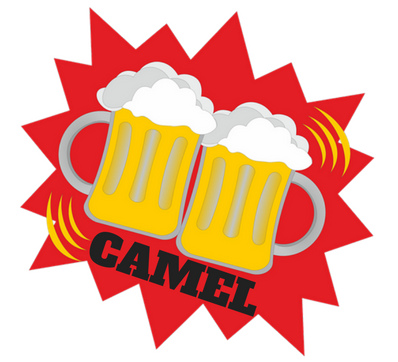 I'm going to start an organisation called CAMEL (Campaign for Excellent Lager). It started as a topical joke based around the discussions about some Ale focused organisation but many people liked the idea. Many people said they’re in. Just ten minutes later he decided to set up a twitter account, again, just for a joke, and people followed. And the Campaign for Excellent Lager was born. He realised that even though he has a beer blog already, making a lager focused website could actually be a good shout for he loves lager, and many other people do too, so this could be a handy collective and social way to spread the word of lager across the internet. Lager is underrated in every form, whether it’s a mass produced lager from the likes of AB InBev, or from a small brewery like Lost & Grounded. This website is for lager louts whether you’re into Bud Light, Camden Hells or Lost & Grounded Keller Pils. It’s to demonstrate why lager should not be overlooked. It’s a non-snobby and non-judgemental place where we don’t turn our noses up at what the craft world ignores. Expect to see pictures, articles, reviews and all manner of lager related things. If you’re interested in contributing, please contact Nate (@NateDawg27) or CAMEL (@CAMELager) on twitter. This is NOT a membership organisation; it’s a social community of lager louts.